Get ready for twists and turns with this Clearwater Marine Aquarium Edition Rubik’s Cube! See how fast you can solve this classic 3” x 3” color-matching puzzle featuring our resident marine animals: Winter, Hope, Nicholas, Mavis, Walle and Rufus! Can you match all 6 sides? 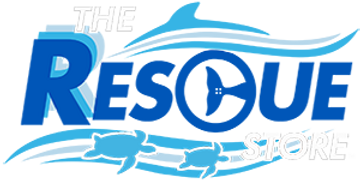 100% of the proceeds from your purchase goes directly to supporting our mission of Rescue, Rehabilitation and Release of marine life, and the long-term care of our resident animals! This longtime puzzle with a new imprint of the dolphins on all sides is a great Christmas stocking stuffer. It keeps the Aquarium on our minds often. Fun to use and good for the brain as well. Rubic's Cube is a timeless puzzle. The CMA version is equally timeless. For anyone who loved Dolphin Tale and Dolphin Tale 2 you will love this ...all our favorite animals are included. Reasonably priced...makes for GREAT stocking stuffers for everyone!